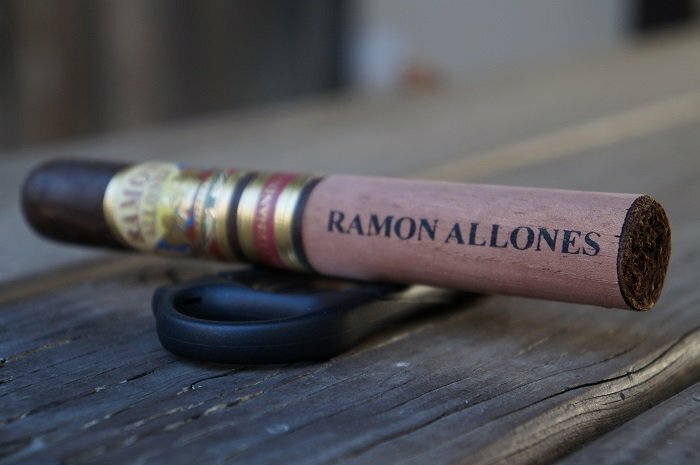 After sliding off the cedar sleeve that covers half of the cigar with the line name printed on it, the dark brown wrapper with lighter color veins of the Ramon Allones by AJ Fernandez Toro is present. The seams are smooth and hard to detect while the head is finished off with a well applied triple cap. There are two bands with the primary being gold, red, blue and yellow and carrying the line and blenders name. The secondary band is the commonly used strip band that carries AJ’s name across various brands that he’s involved with. The aroma from the wrapper is barnyard and stone fruit sweetness. The foot brings wood, tobacco sweetness along with a faint white pepper. The pre-light draw brings a soft, sweet wood along with a medium spiciness to my lips. The cigar begins with cedar, a dark cinnamon along with a very light creaminess. At a quarter inch in, the cinnamon note has transitioned to a light baking spice. At a half inch in, the cream has transitioned to mustiness as the cedar is up front and the baking spice is slightly behind it. At an inch in, the cedar gains a slight char. The retrohale is cedar and baking spice. At an inch and a quarter, the mustiness increases. As the third comes to a close, a slight chalkiness has joined the profile. The strength in this third was right at medium. As the final third begins, the cedar remains up front while the baking spice has lessened. The mustiness and chalkiness have paired up to create an interesting note just behind the cedar. At a half inch in, the baking spice is very faint while the cedar remains up front with the musty chalkiness is just behind it. At an inch in, the cedar has transitioned to a slightly green wood note while the musty chalkiness is right behind it and the baking spice is gone. The retrohale carries a slightly lighter version of the same profile. As the third comes to a close, the wood loses the green note as the musty chalkiness remains right behind it. The strength in this third remained at medium. As the final third begins, the chalkiness leaves and the profile is just musty wood. At a half inch in, the cigar warms up slightly which brings some mintiness to the profile. The retrohale carries the musty wood note. At an inch in, a slight vegetal note joins the profile of musty wood and mintiness. This is the profile the cigar finishes with. The strength in this third bumped up to slightly above medium. The burn line was slightly wavy throughout but never needed any attention. The ash held on in inch and a half increments. The draw was a bit snug. Using a draw tool eased things a bit but then it tightened up some more in the second half. The cigar started with cedar, cream and dark cinnamon and then transitioned to mustiness and baking spice. Getting into the second third, things became simpler as it was musty wood with some chalkiness. Strength hovered right around medium. Construction was pretty good aside from a tight draw. 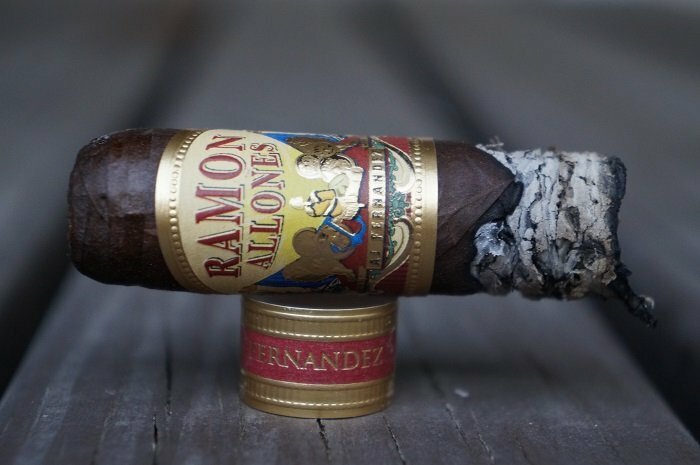 In the end, the Ramon Allones by AJ Fernandez Toro didn’t seem like much of a departure from other AJ blends and I felt like I was smoking a cigar that was fairly close to some of his other offerings. 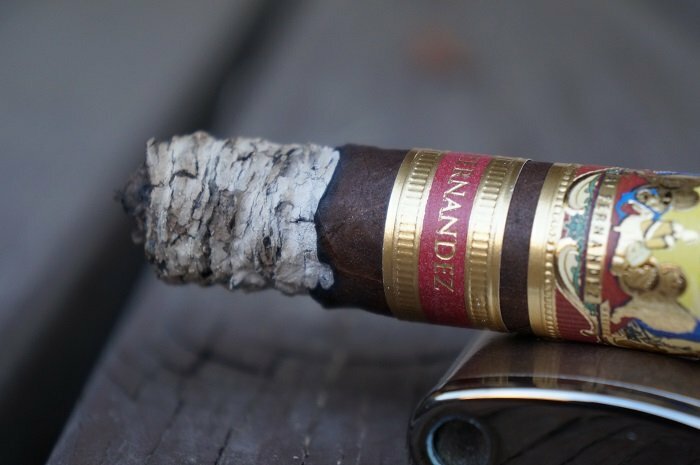 The cigar is fine, but with the increased price point, I’m not sure it is something I would gravitate towards if I’m looking for something in his normal flavor profile. I would say it’s worth checking out for you to gauge your thoughts. 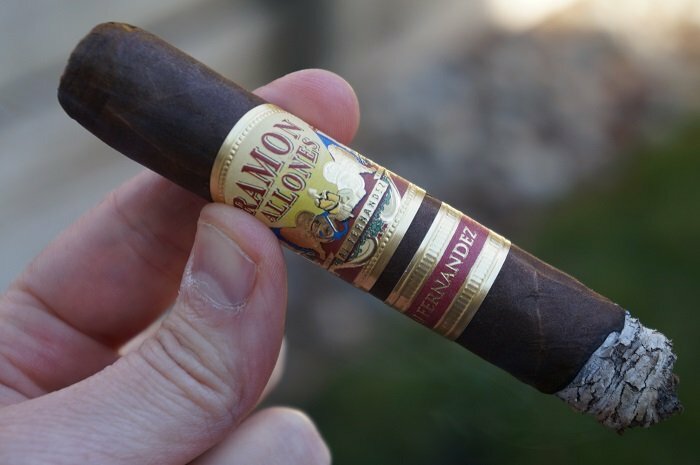 While I actively seek out and sample everything AJF blends and manufactures, I felt that the Ramon Allones collaboration was perhaps one of the least desirable in the last two years. To my taste the Hoyo and Romeo y Julieta collaborations were much more enjoyable, distinctive and memorable smokes. 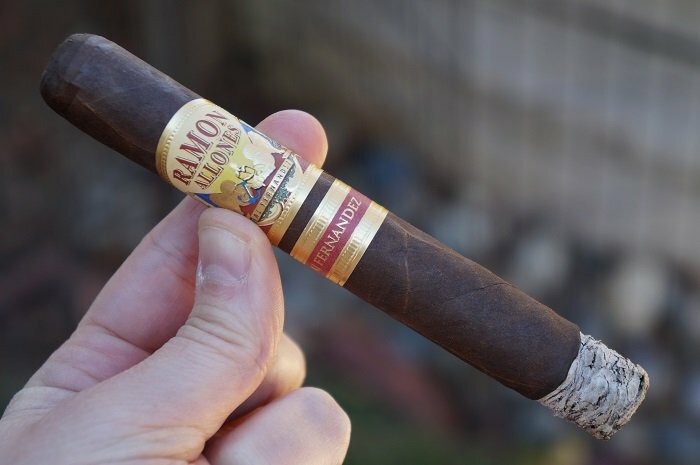 It was a long wait for that cigar after the release teasers, difficult to get, and proved unjustifiably expensive as well. Thanks for review! 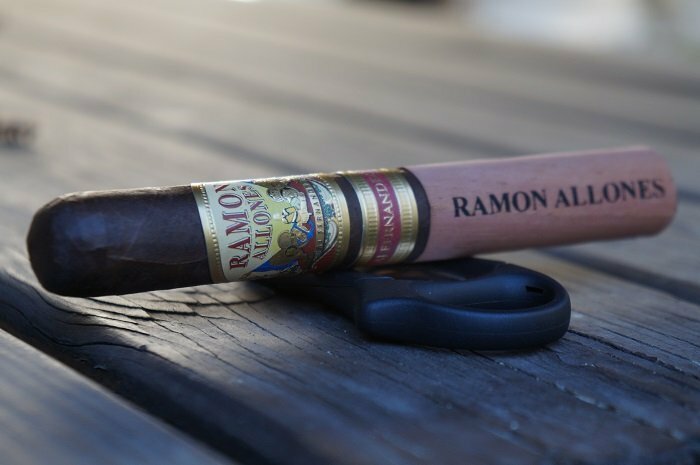 How does this cigar compare to the Cuban RASS and is it a better profile in the lineup? These two cigars don’t belong in the same sentence.